Rabid, and Clive Barker's Nightbreed are just a couple of films in the lineup for Shout! Factory TV's 5 Nights of Fear. Prepare thyself. 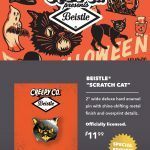 Also in today's Horror Highlights: a new Beistle Cat special edition pin from Creepy Co., details on Horror Movie Night podcast's fundraiser to raise money for FamilyStrong4ALS, and Jasmine release details. Shout! Factory TV's Five Nights of Fear Details: Press Release: "Scream Factory™ is celebrating five years of fear with the special screening event 5 Nights of Fear airing on Shout! Factory TV. In celebration of the now-iconic horror brand’s fifth anniversary, Scream Factory will present nightly screenings of cult favorite films Nightbreed, Bad Moon, The Exorcist III, Hellhole, and Rabid. 5 Nights of Fear will air from Monday, June 12 through Friday, June 16 each evening at 10 p.m. ET/7 p.m. PT at http://www.shoutfactorytv.com/, and on Pluto TV Channel 512. On Monday, the terrifying celebration begins with Clive Barker’s creature feature Nightbreed: The Director’s Cut. On Tuesday, fans can howl with horror to Eric Red’s Bad Moon. Wednesday, things get even more wicked with William Peter Blatty’s The Exorcist III. Then on Thursday, get locked up in the glorious grindhouse film Hellhole. Finally, on Friday, fans can absolutely devour David Cronenberg’s Canadian classic Rabid. Fans of Scream Factory and cult horror won’t want to miss these films streaming free! Join the conversation to tweet the terror live using the hashtag #5NightsOfFear. Shout! Factory TV’s 5 Nights of Fear will be streaming nightly from June 12 – June 16 at 10 p.m. ET/7 p.m. PT at http://www.shoutfactorytv.com/, and on Pluto TV, CH 512. For mobile, tablet and connected TV devices the marathon is accessible via the Pluto TV app. The marathon is also available via Pluto TV in the living room (Roku, Amazon’s Fire TV and Fire TV Stick, Android TV devices, Chromecast and Apple Airplay), on the go (apps for iOS, Android and Amazon) and at your fingertips on PC’s, Mac’s or on the web. Boone (Craig Sheffer) may be a troubled young man, but his troubles are just beginning. Set up as the fall guy in a string of slasher murders, he decides he'll hide by crossing the threshold that separates “us” from “them” and sneak into the forbidden subterranean realm of Midian. 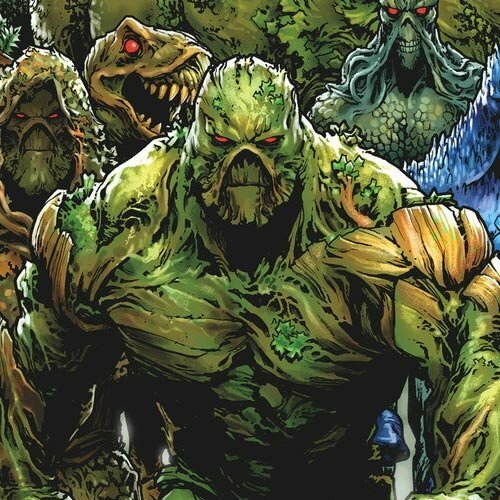 Boone will live among the monsters. Hellraiser creator Clive Barker writes (adapting his novel Cabal) and directs this vivid leap into horror that asks: in the battle of man vs. monster, who's really the monster? The answer supplies flesh-crawling suspense, sudden fear, a colorful Danny Elfman score and a creepy array of shape-shifting beings. They are the Nightbreed, denizens of a world beyond death, beyond the imagination, perhaps beyond anything you've seen. Full, crescent, quarter... each is a Bad Moon for Ted Harrison. By day, he's a photojournalist visiting family in the Pacific Northwest. By night, he transfigures into a horrific half-human – a werewolf. Dead men tell no tales, so Ted's sure he alone knows about his vile double life. The secret, however, may be out. The family dog Thor, devoted to defending the household, has his suspicions. Writer/director Eric Red (Cohen and Tate, Body Parts) delivers a new infusion of thrills with this red-blooded shocker. Michael Paré (Streets of Fire) portrays Ted, hiding his accursed condition from his sister (Mariel Hemmingway, Lipstick, Star 80) and nephew (Mason Gamble). What better way to hide it than to create suspicion that the local killings are the work of another – especially if that other is the family's all-too-wise German shepherd! The Exorcist III is author/filmmaker William Peter Blatty’s personal vision of what followed after The Exorcist. Like the original, The Exorcist III combines elements of a detective story, a theological puzzle, and an unforgettable study in terror. For more than fifteen years Police Lieutenant Kinderman (George C. Scott) has been haunted by the death of his friend Father Damien Karras. Now, on the 15th anniversary of the exorcism that claimed the priest’s life, Kinderman’s world is once again shattered when a boy is found decapitated and savagely crucified. It’s just the beginning of a nightmare series of bizarre religious murders. The brutal murders bear the hallmarks of the infamous Gemini Killer… who died in the electric chair fifteen years ago. But when a psychopath claiming to be the Gemini Killer reveals intimate, gruesome details that only the true killer could possibly know, Kinderman is confronted with a horrifying truth that he cannot begin to explain… and that will shake him to his core. Having witnessed her mother’s brutal death, Susan (Judy Landers, Dr. Alien) gets amnesia from a fall while being pursued by the killer, Silk (Ray Sharkey, The Idolmaker). Awakening in Ashland Sanitarium, she is once again terrorized by Silk, disguised as an orderly. To pry an incriminating secret from Susan’s brain, Silk forms an uneasy alliance with Dr. Fletcher (Mary Woronov, Rock ‘n’ Roll High School), a psychotic scientist who has been testing a new lobotomy technique, using helpless inmates as her guinea pigs. These vicious experiments are carried out in the “Hellhole,” a torture den awaiting Susan as its next victim. Featuring an all-star cast of cult film stars including Marjoe Gortner (Starcrash, The Food Of The Gods), Richard Cox (Cruising), Terry Moore (Mighty Joe Young), Edy Williams (Beyond The Valley Of The Dolls), Robert Z’Dar (Maniac Cop) and Dyanne Thorne (Ilsa: She Wolf Of The SS). After undergoing radical emergency surgery, Rose (former adult film star Marilyn Chambers in her first leading role in a mainstream film) develops an insatiable desire for blood. 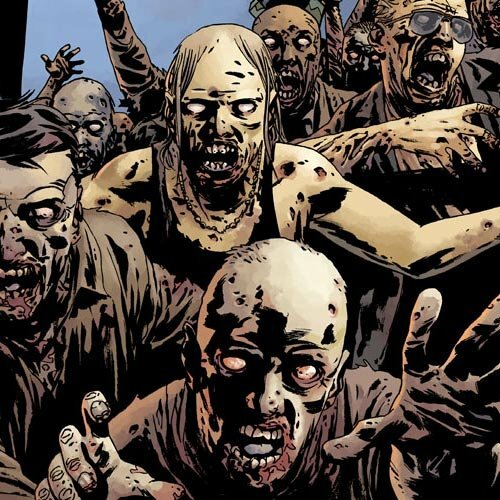 She searches out victims to satisfy her incurable craving, infecting them with an unknown disease which, in turn swiftly drives them insane… and makes them equally bloodthirsty. Follow the lovely but deadly Rose through her terrifying ordeal as victim by victim, the spreading circle of casualties grows... until no one can escape their grisly fate of becoming...Rabid." 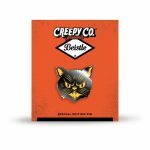 New Beistle Scratch Cat Special Edition Enamel Pin from Creepy Co.: "From Creepy Co.: “BEISTLE® SCRATCH CAT SPECIAL EDITION ENAMEL PIN. 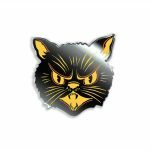 Beistle® "Scratch Cats" are a ubiquitous member of the brand. There are so many iterations over the decades, that it's nearly impossible for us to have picked just one to focus in on. For the pin, we bring you this head-on, hissing Scratch Cat. Pin this fright-defying feline to your person all year long! 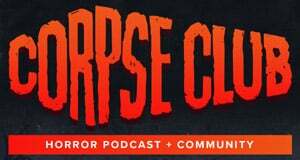 Horror Movie Night Podcast Episode Details: Press Release: "[June 8th 2017-Aston, PA] Geekscape.net podcast, Horror Movie Night, will be celebrating their 100th episode and website launch (HMNPodcast.com) with a 24-hour livestream to benefit FamilyStrong4ALS. The comedy podcast will begin its 100th episode celebration at 12:01 am on June 23rd. True to form, the hosts (Matt Kelly, Scott Roger, and Adam O’Brien) will watch genre favourites while various guests drop by the 24-hour fundraiser. Listeners can find the livestream at the Geekscape Twitch channel (https://www.twitch.tv/geekscapetv) and are encouraged to donate generously to FamiylStrong4ALS, a charity based in co-host Matt Kelly’s hometown. Since 2015, Horror Movie Night has gained over 115,000 listens solely by word of mouth and its cult-like fanbase has clung to the trio’s inside jokes and pop culture tangents while they struggle to discuss movies such as Tusk, An American Werewolf in Paris, and Puppet Master 3. 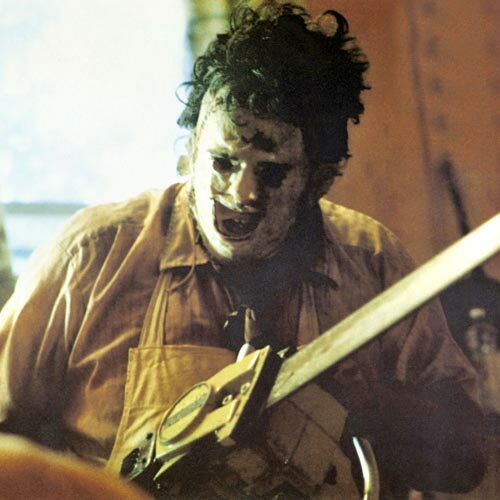 Podcast listeners can find Horror Movie Night on SoundCloud and iTunes." Jasmine Release Details: Press Release: "West Hollywood, California - Indican Pictures is set to release director Dax Phelan’s Jasmine this summer. The film will open in Laemmle Theatres, commencing with a showing in Los Angeles, mid-June. 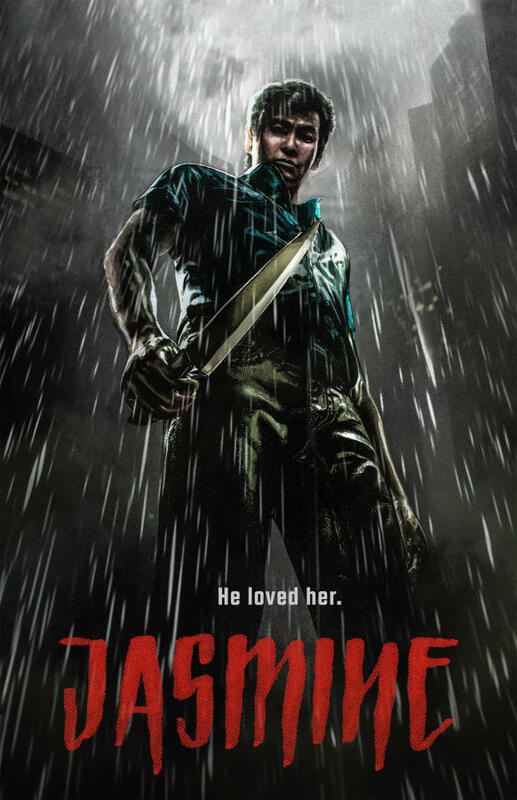 Jasmine is a film about conspiracy and revenge as one man is on the hunt for his wife’s deranged killer. The film stars: Jason Tobin (The Fast and the Furious: Tokyo Drift) as central character Leonard, along with Byron Mann (The Big Short), Eugenia Yuan (Memoirs of a Geisha), Sarah Lian and Glen Chin. 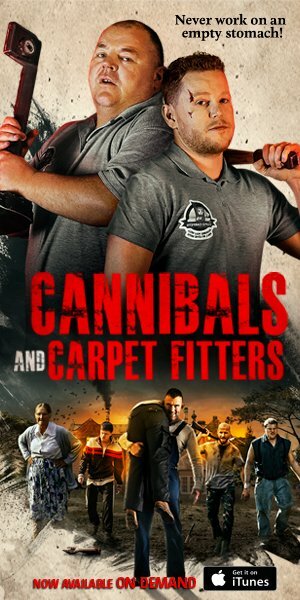 A preview of the film’s wide release is hosted here. The story has been described as a mind-bending psychological thriller. In this tale, Leonard is struggling to come to terms with his wife’s brutal death. He reconnects with a person from his past, but, his overwhelming grief continues to bring him back to his wife’s gravesite. In a chance encounter, he believes that he has found her killer and will not stop until he has brought his own version of justice. Following the theatrical release, Indican Pictures will release the film in July, through Video-on-demand, and on DVD. Jasmine continues a successful film festival run, receiving over thirty awards, including stops at Sydney, Hong Kong, Mexico, Los Angeles, Miami, the Bahamas, Philadelphia, Palm Beach and St. Louis. Upcoming stops include the Madrid International Film Festival (July 11th) and the Auckland International Film Festival (June 10 & 11). Jasmine will be shown worldwide, throughout the summer and this is one tale of revenge, which should not be missed. The official synopsis: Jasmine is a mind-bending psychological thriller about Leonard (Jason Tobin). Leonard is struggling to come to terms with his grief, nearly a year after his wife's murder. Hoping to move on with his life, Leonard reconnects with Grace (Eugenia Yuan), a woman from his past; his outlook, thanks to her, begins to brighten. Then, a visit to the site of his wife's murder leads him to a mysterious interloper (Byron Mann), who he believes is her killer. Leonard decides to take justice into his own hands as events take a startling turn towards the unexpected. 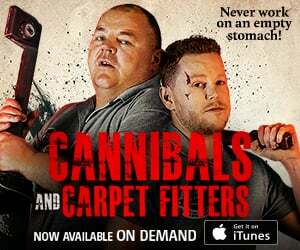 Release Date: June 16, 2017 (Limited Theatrical, U.S.) and July 2017 (VOD, DVD). Director: Dax Phelan. Writers: Dax Phelan Jason Tobin. Cast: Jason Tobin, Byron Mann, Sarah Lian, Eugenia Yuan and Glen Chin. More details on the film: http://www.indicanpictures.com/indicanpictures/jasmine/"